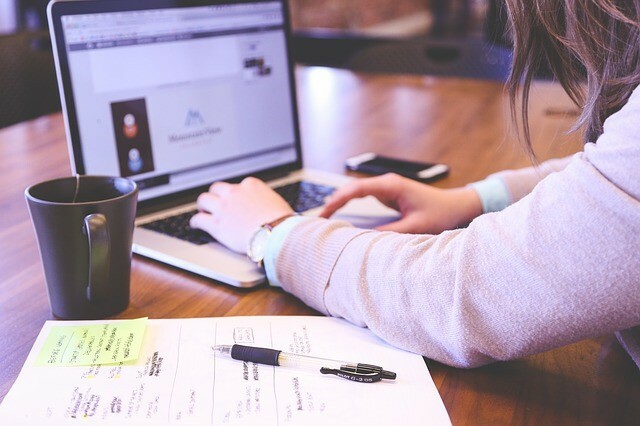 Recruiting the right talent requires so much more than simply passing around a job description with an attractive job title and appealing salary. Sure, these are important components when it comes to marketing your job opportunity and your company. The problem? Most of your competitors do the exact same thing. To make matters worse, if your company is still young, you may not even be able to compete with the compensation and fringe benefits your competitors can toss around. So how can your startup stand out from the competition and truly shine? ● 36.27% believe it’s most important to create a company culture that puts employees first. ● 23.07% think strong recruitment comes down to treating employees like allies, rather than assets. ● 15.6% find it critical to highlight talented people already working at the company, as talented people like working with other talented people. ● 12.8% think it’s important to proactively seek out top-tier candidates by looking into any additional information that’s available about them (such as their social media profiles). ● 3.53% suggested other factors and criteria beyond those listed above. Let’s explore these points in more detail to determine how you can use them to attract top talent to your company. Companies like Zappos have driven their huge business growth by focusing on one very important thing: a company culture that matters. 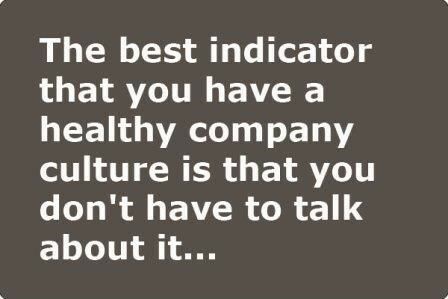 Company culture is so much more than the words you say. It’s about the things you do - the core values that underlie the way you go about everything you do as a company. Building a company culture that matters relies on a commitment to those values by everyone involved - starting with you. It’s these values that make your company stand out among the rest. You see, business owners and managers often assume that money is what’s most important to job candidates, but it’s not. Research on millennials (the 18-35 year old age group) showed that what young, engaged workers are really looking for is the chance to do something meaningful. People aren’t machines. They have feelings and emotions that drive them to want more - to feel like they’re involved in something that means more than just a paycheck. Something that really matters. Something that makes them feel inspired and motivated for the cause. It’s something intangible that becomes tangible because of the culture that drives it; the people. When you take your startup and present it to the world, approach it with this question in mind: How can my company get job seekers to buy what we’re selling? You’re not selling how great your piece of clothing, staples, paper or some other product is. You’re selling your purpose, and that’s what will really attract key people. Employees aren’t just another number; a cog in the machine. They’re the true heart and soul of your company. The people that are involved in your business are the ones behind the company’s success and growth. They’re the ones on the front line, interacting with customers; the ones who truly make or break your bottom line. So treat them that way. Companies own assets, but they can’t own people. Considering employee satisfaction should be equally as important as considering your customers’ happiness. Naturally, a satisfied employee is going to be more productive and motivated to do good work and serve the company’s customers better. Another way to think about it is to treat your employees like your best customers. Think about how hard you work to attract new customers and maintain those customer relationships. That’s exactly the kind of thing you need to do for employees. One way to demonstrate this to possible candidates is to emphasize what people will get out of it and how you can help them. This might be through provision of ongoing education, or leadership and skills development. Because of the expense, this type of investment is often overlooked or brushed off by companies. Another key shift your young company must make is to let go of the group mentality and allow people to be independent and invest themselves into whatever projects the company offers. Don’t present them with red tape and roadblocks every way they turn. Streamline processes so that employees feel empowered and motivated toward both personal and organizational growth. Keep these personal investment criteria in mind as you seek out top notch talent to join your team. Just like you, they’re shopping around for the best opportunities. If you want to stand out, you’ve got to put all your cards on the table. Highly engaged employees achieve 12% more than unengaged employees - equating to $4,200 if an employee’s salary is just $35,000. That’s not only an increase in revenue; just imagine the overall impact such increased productivity could have on your company’s growth. 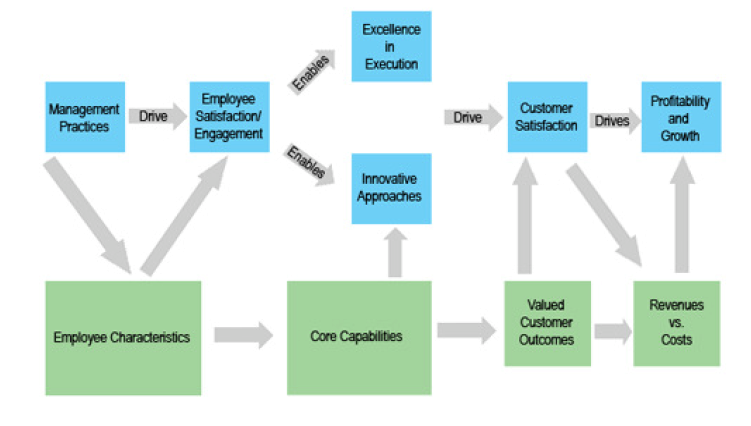 The Value-Profit Chain is a model that explains the powerful effects of creating an employee environment of engagement. The premise here is that people drive people and, therefore, the satisfaction and engagement they commit to the organization. The employee’s characteristics, capabilities and skills provide the foundation of the model, inspiring operational excellence and innovation that inevitably results in growth and profit. Sigmund Freud, the grandfather of psychoanalysis, coined a term known as "transference" to describe our natural inclination to follow a leader. When we connect with things that raise emotions in us, we transfer our feelings from the past, into the now and into the future. It’s a subconscious thing that drives us to follow - envisioning what our life might be, and feel like. Transference can work in both a negative and positive way, so the power of highlighting the talent your company already has is to transfer the positive ‘vibes’ that inspire people. Essentially, you’re showing your potential new hire that your company offers talent in abundance, allowing them to feel confident following. If you’re going to highlight your core values and tell people they are allies, then highlighting talented people shows them these values in action, displaying your integrity and building trust. Remember, words mean nothing without proven, demonstrated commitment to your values. With the rise of social platforms comes a whole new world of information and possibilities for recruitment. It’s now common practice for companies to check on people’s social media profiles in advance of making an offer. We all know social situations can lead people to stupid acts, which - in most instances - we’d all want to stay private. If people feel proud of their late-night drinking affairs and post about them publicly on a regular basis, well, that gives you some insight into who they are and what they value. Checking social media profiles can help you make a more informed decision about the right type of people to employ: the type of people who are thoughtful about considering the impact of such behavior. That said, Chirag Nangia, CEO of Reppify, a social media recruiting agency, emphasizes that, although social media profiling can be helpful, it’s also important to be aware of bias and discrimination. Be sure you’re making any social media judgements on the candidate’s behavior, not any other factors. Another thing to consider… You don’t have to sit back, put up a job description and wait for the talent to come knocking on your door. Instead, start being proactive and seeking out the right candidate yourself using the power of social media. Platforms like LinkedIn are designed with business in mind, helping people connect with the right companies. Millions of potential candidates are openly promoting their skills through their profiles. In addition, there are plenty of passive candidates who may already be employed, but are open to new opportunities and just waiting for your startup to hand pick them from the rest. If this seems like a daunting process, think again. Phone and in-person interviews are costly and time consuming. When you do it right, social recruiting can help you slash costs, time, and really zone in on finding those top-tier candidates. As a young company, you’ve got to take every opportunity to distinguish your brand to make yourself as appealing as possible to rockstar employees. Consider offering incentives such as gym memberships, meals and subsidized transport. A monthly gym fee should be quite cheap, but it makes a big impact on your candidate’s perception of your company. Put thought into parental benefits; for example, family benefits that might see people leave at mid-day on Fridays or undertake flexible work hours in order to attend important engagements. Consider personalization , possibly by providing a budget to customize the office or the ability to add plants and photos to their space. 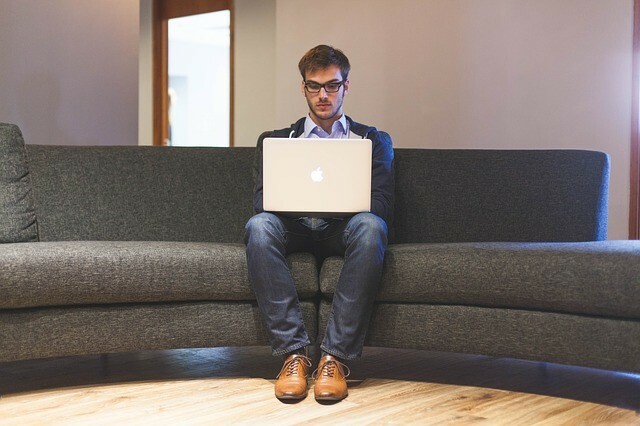 Even something as simple as this can boost productivity by as much as 32%. Whether you’re looking to hire your first employee or your 50th worker, think about what you’re creating, from the core. Only after you’re confident in what you’re offering will you be able to convince top talent that they’re join something great, something meaningful, and something with purpose that puts them front and center.